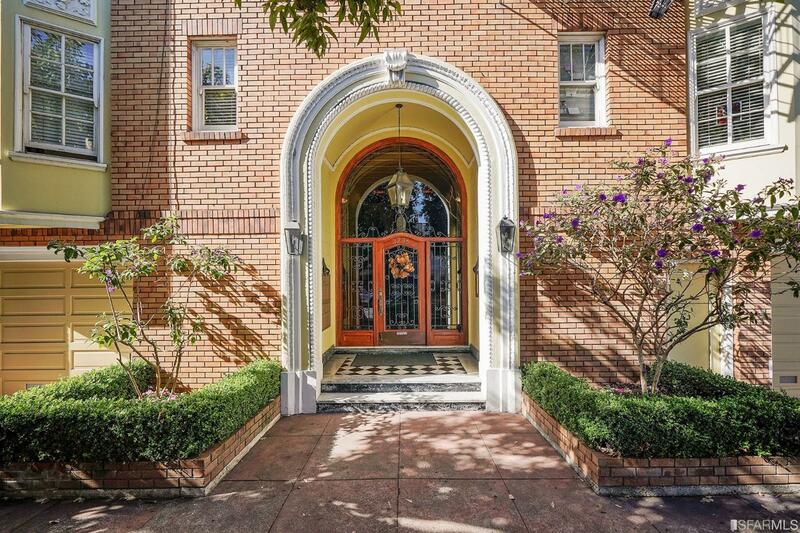 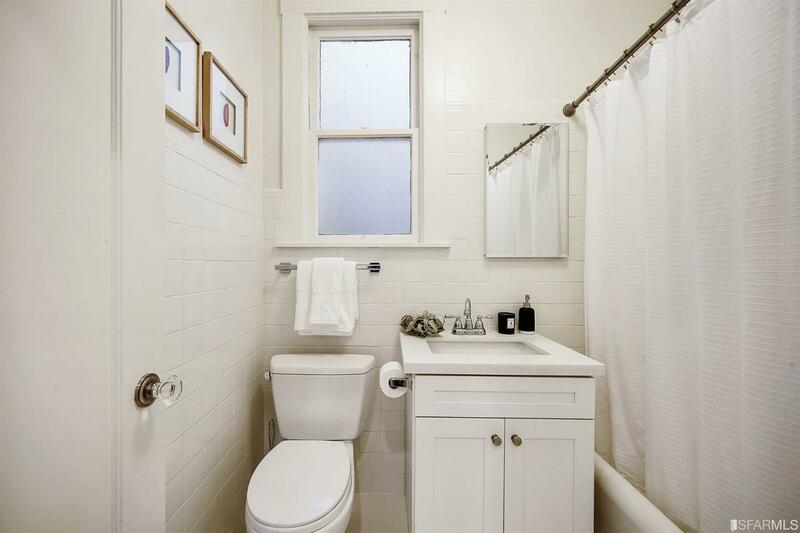 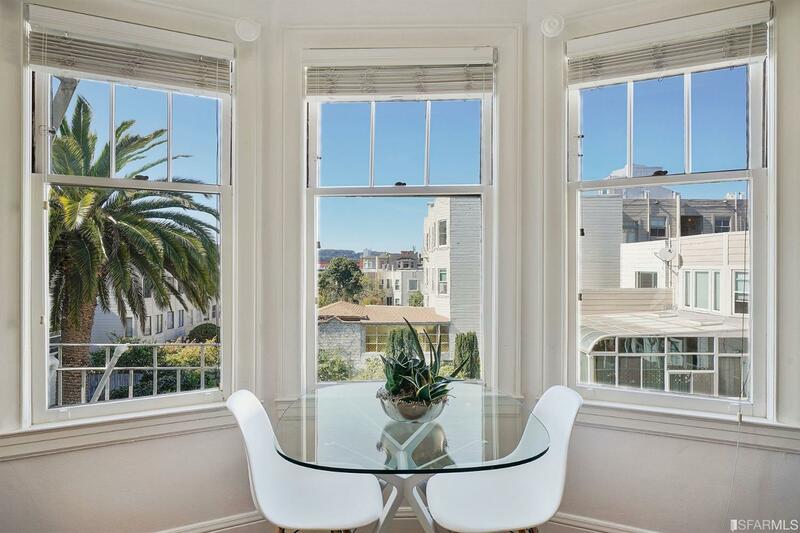 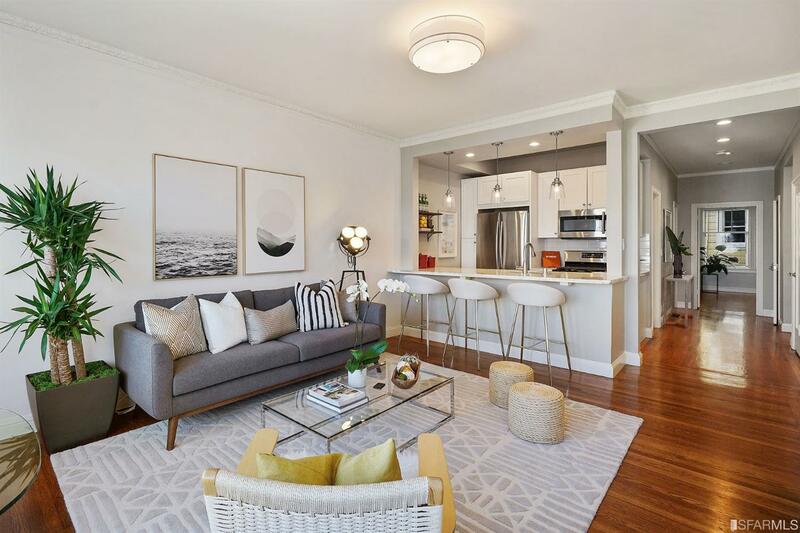 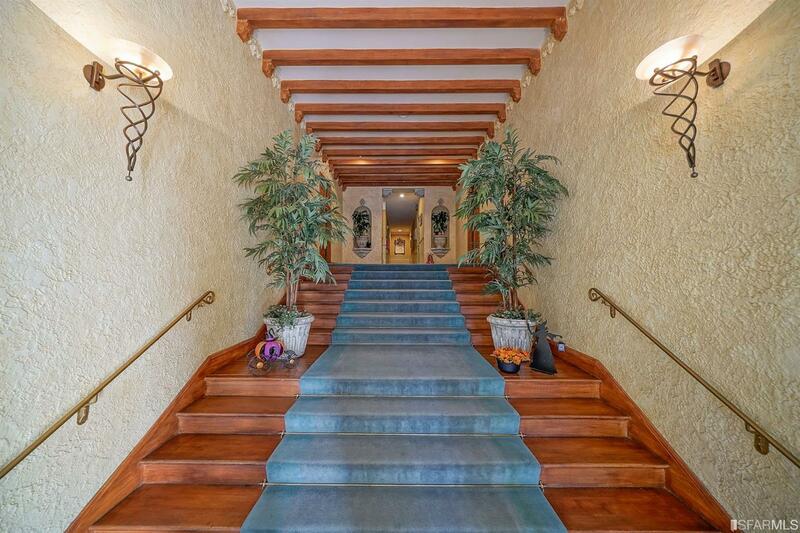 Lovely light-filled 2bd/1ba/1pkg TIC in elegant and beautifully maintained 1920's 14-unit Marina building. 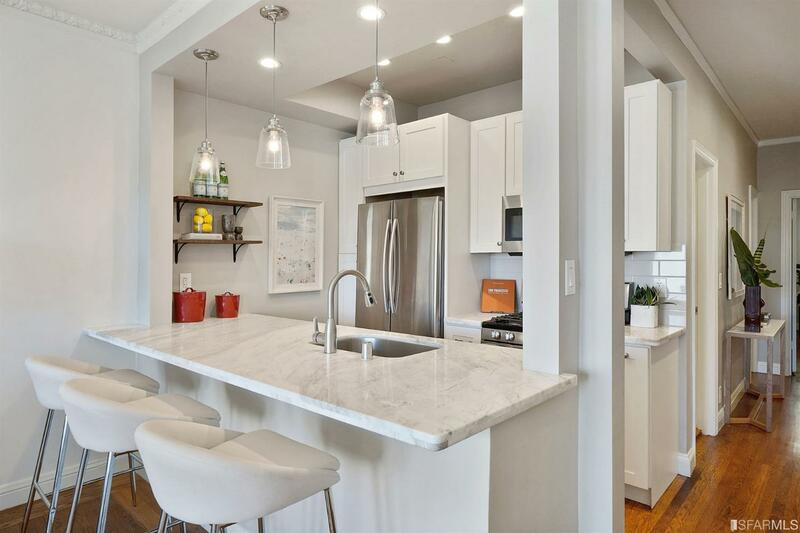 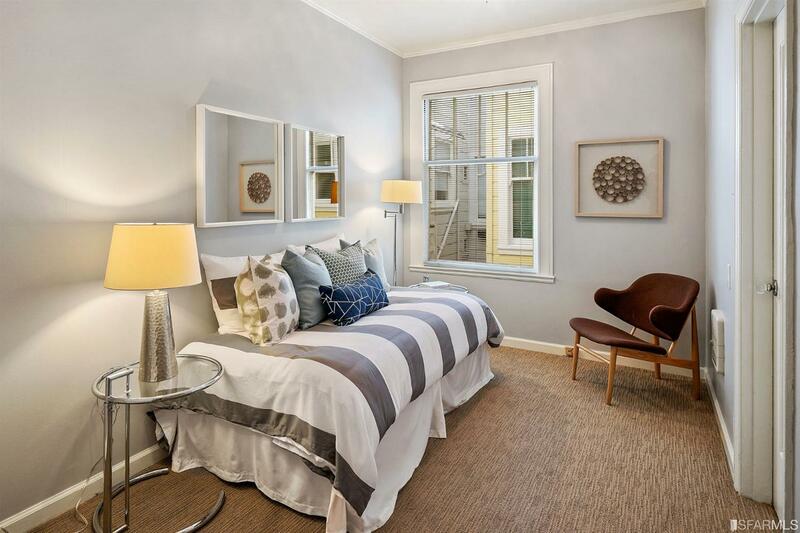 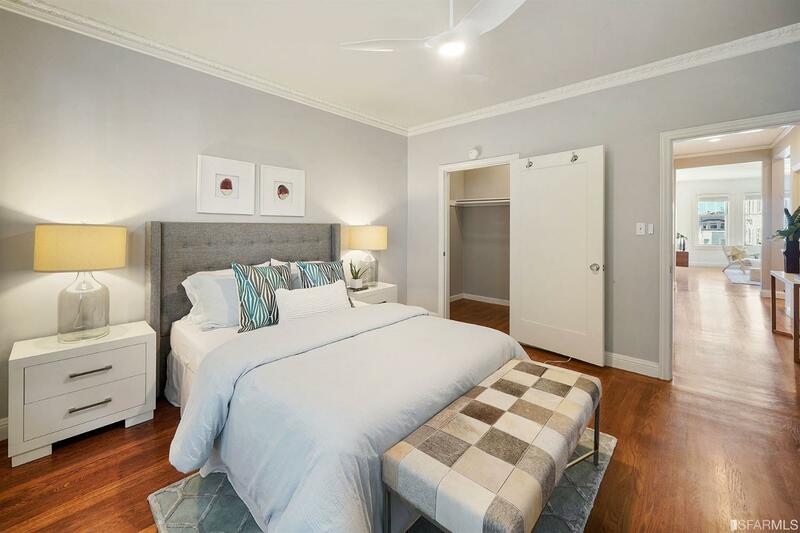 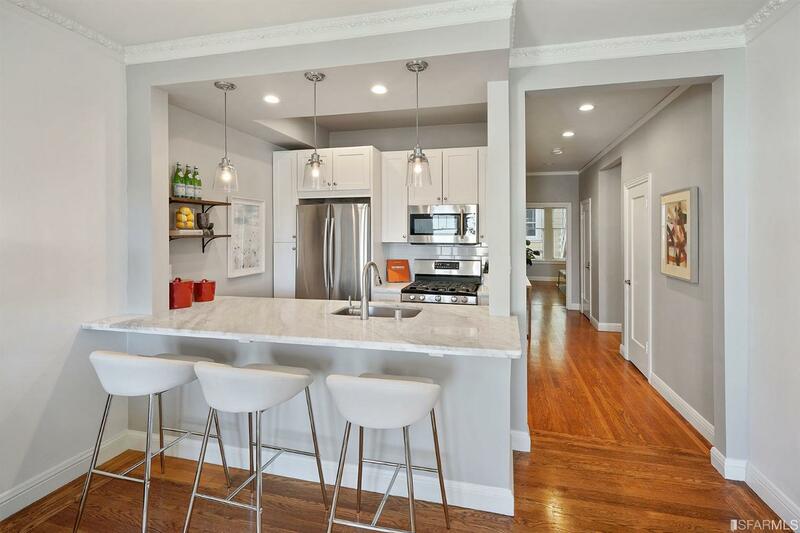 Charming unit with western exposure overlooking well-tended shared garden features freshly painted rooms, hardwood floors, upgraded contemporary kitchen with SS appliances/marble countertops, and two spacious bedrooms with ample closet space. 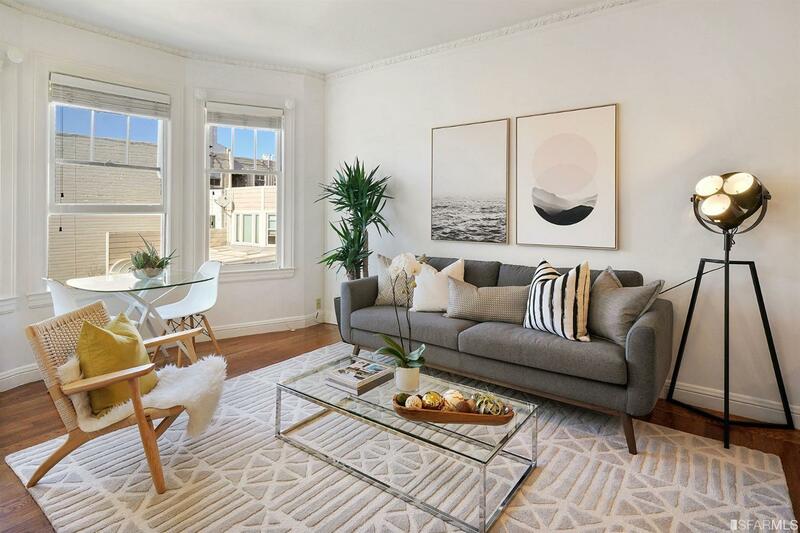 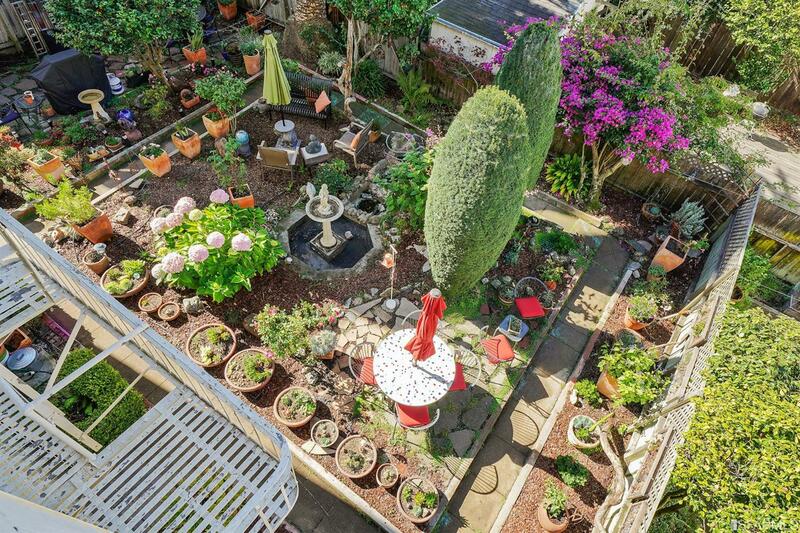 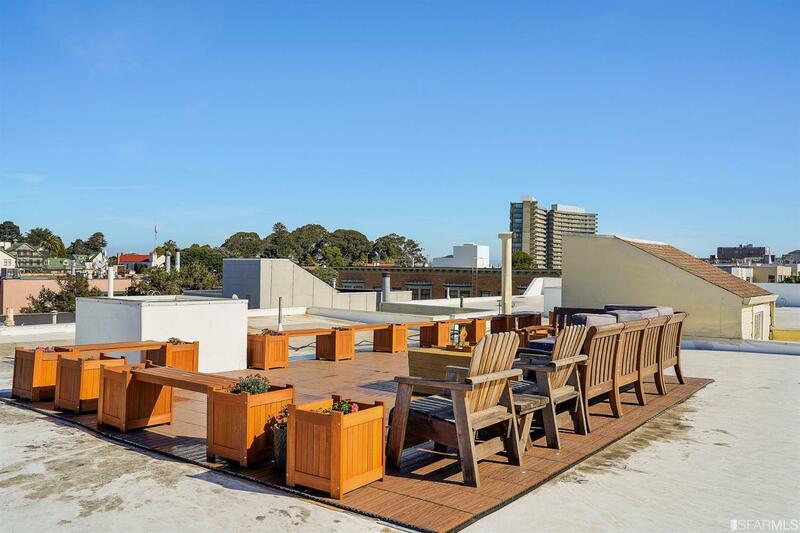 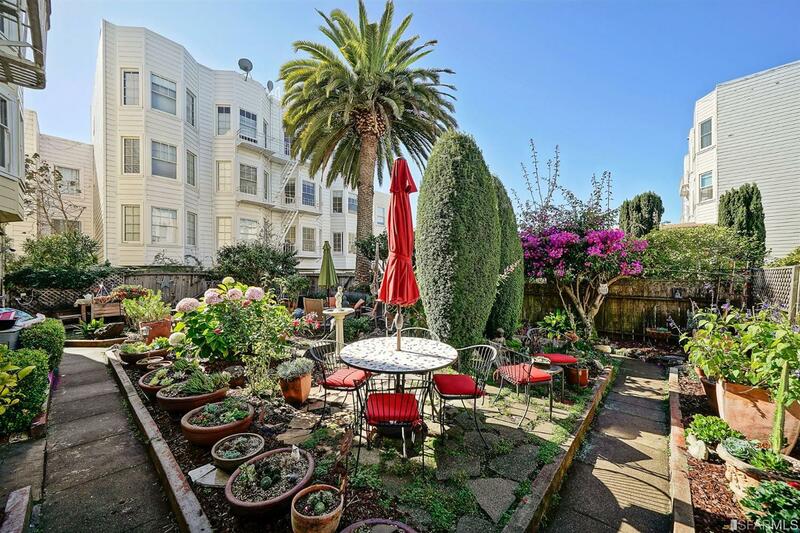 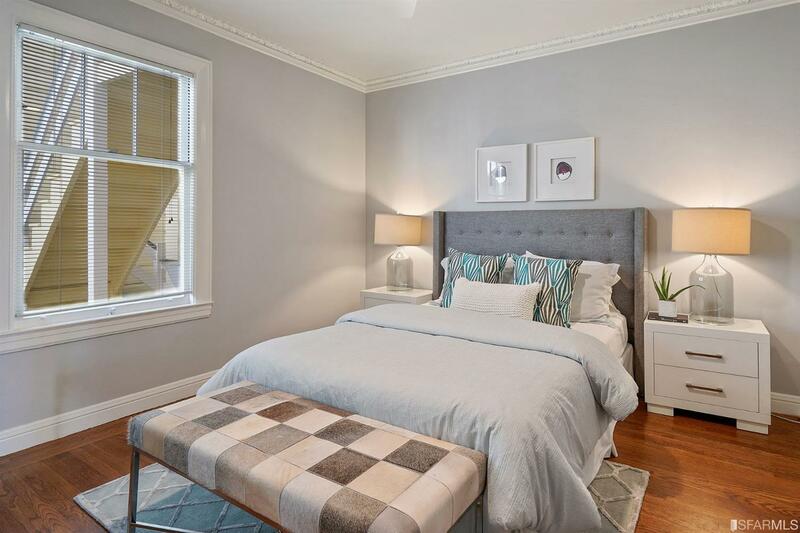 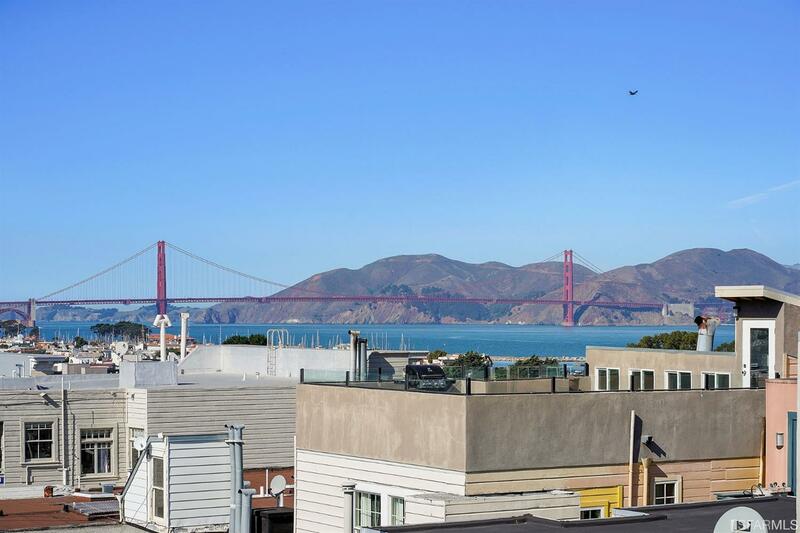 Tranquil, yet conveniently located within close proximity to Fort Mason, Moscone Park, and Chestnut Street shops and restaurants.